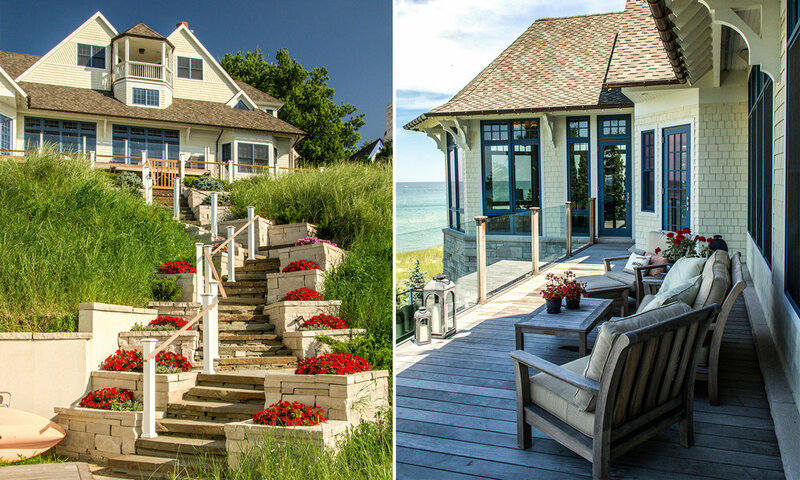 This private residence is a new home on the Lake Michigan shore, designed for a Chicago couple as their vacation retreat and future retirement home. The site perches atop a high dune and although deep is only 100 feet wide. An entry court is flanked by two low wings splayed open toward the front garden, inspired by the classic “butterfly” plan beloved of English Arts-and-Crafts architects. 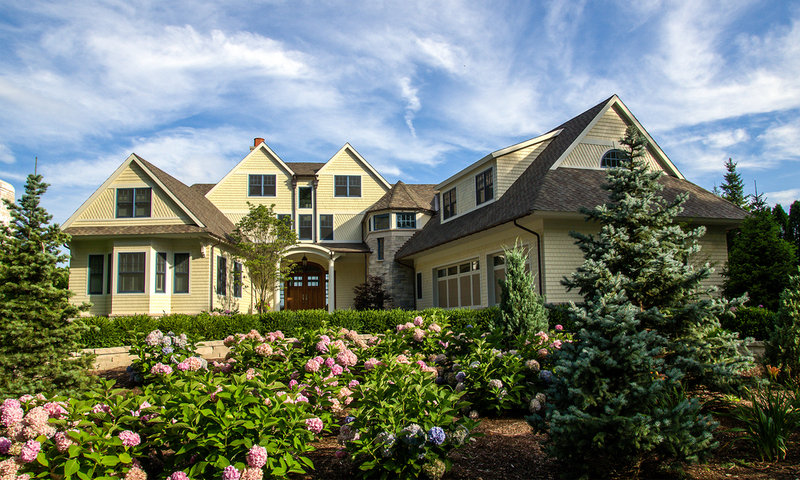 The shingle-style composition rises to a double gable centered above the entry. 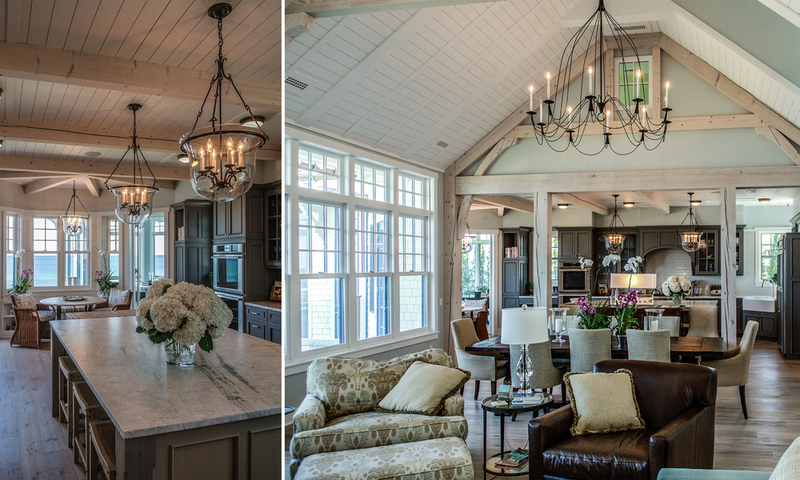 A 1-1/2 story great room highlights the full sweep of the lake view. Its scale is moderated by exposed columns and trusses of antique salvaged hemlock, with an overlooking gallery sharing the view. The beach front is enlivened by bay windows rippling across the facade. It is crowned by a triple gable with a tower perch at its center, designed for the enjoyment of sunset cocktails.